When conceptualizing the MAVEN™ chassis, all different sorts of materials and surface finishings were thoroughly considered. In the end, a clear decision was made in favor of aluminum which constitutes the best solution in the sum of its characteristics. It is light-weight, durable, corrosion resistant, odorless, and 100% recyclable. 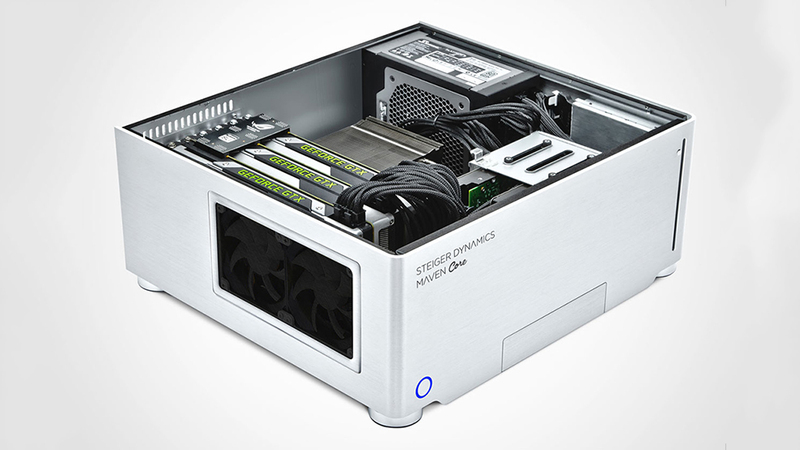 MAVEN™ full aluminum chassis has a one-piece shell with an unmatched wall thickness of 4 mm. In the production process, all exterior parts are hand-brushed, making every chassis one of a kind. As a final step, all parts are anodized to increase the natural corrosion-resistance and to give the chassis its final color and unrivaled finish. This makes it a perfect match for existing home theater devices and a valuable enhancement to the living room. The new MAVEN chassis has been reduced in height by 5 mm compared to its predecessor and features improved interior layout for optimum air-flow and superior cooling. ASUS' top-of-the-line motherboards with Intel chipsets, latest generation Intel Core CPUs, NVIDIA GeForce GTX graphics cards up to Quad-SLI configuration, up to 128 GB high-speed Quad-Channel DDR4 memory, SATA and NVMe SSDs, and up to 24 TB WD storage elevate MAVEN™ into a league of its own. 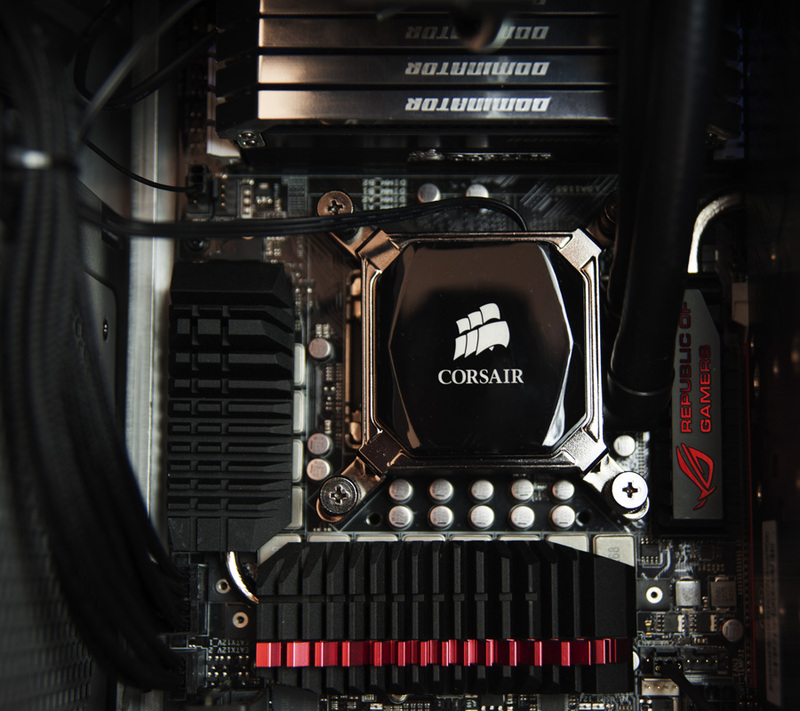 MAVEN™ mainly has liquid cooling solutions for its central processing unit (CPU). Compared to standard air cooling used in regular PCs, liquid cooling dissipates heat extremely efficiently. This allows for optimal performance while making the system ultra-silent - exactly what one would expect from a living room computer. A maintenance-free, pre-sealed liquid cooling solution with a 120 mm radiator is used as standard, a 140 mm radiator is available as an option to provide sufficient cooling capacity even for 8-core or overclocked systems. All liquid cooling solutions feature variable fans, automatically adapting their speed according to system temperatures. This advanced technology allows radiator/chassis fans to spin as low as 600 rpm on idle and low load levels, being completely inaudible during movie playback or webbrowsing. Pursuing a no-compromise approach, MAVEN™ can be optionally configured with highest quality custom-made cables and cable management for the drives and the power supply unit. These cables are custom-tailored to precisely fit the MAVEN™ chassis. This avoids any cable excess, accounting for an extremely clean look and optimized air flow, helping to keep chassis temperatures down. 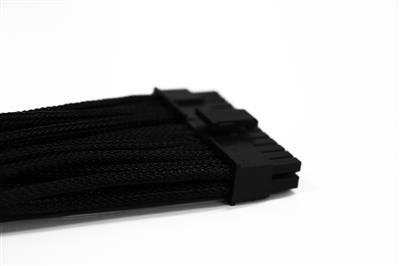 All custom power supply cables are black, single-sleeved and vary in length depending on the configured motherboard, graphics card, and their respective connector positions. All custom drive cables (SSD/HDD/Blu-ray) are ultra-durable, shielded SATA3 cables. The recommended way to connect MAVEN™ is via DVI/HDMI or DisplayPort through the Audio/Video Receiver (AVR) to the TV. 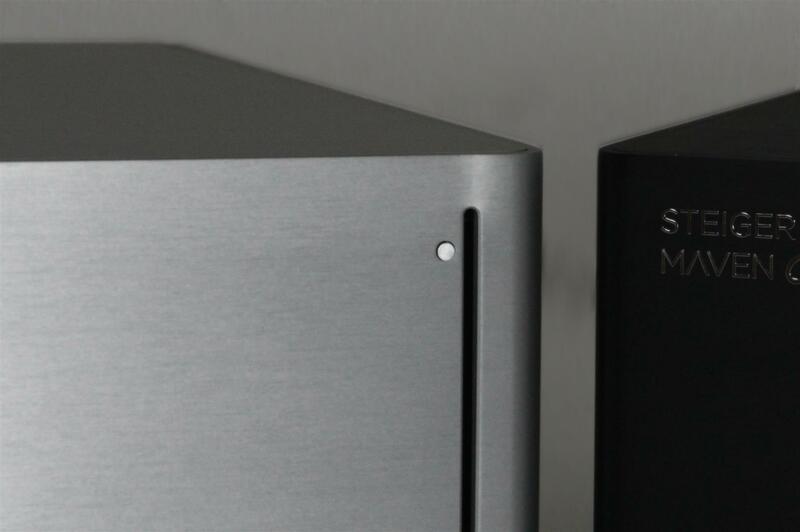 This allows the enjoyment of lossless (HDMI/DVI/DP bitstreaming) HD Audio®, Dolby ATMOS/TrueHD™ and dts:X/Master Audio (7.1 or higher). Alternatively, MAVEN™ can be connected directly to the TV via HDMI, DisplayPort or DVI. It can then either use the TV speakers or any external Audio system (native 5.1/upmixed 7.1 surround sound via optical S/PDIF or analog audio jack (to RCA)). 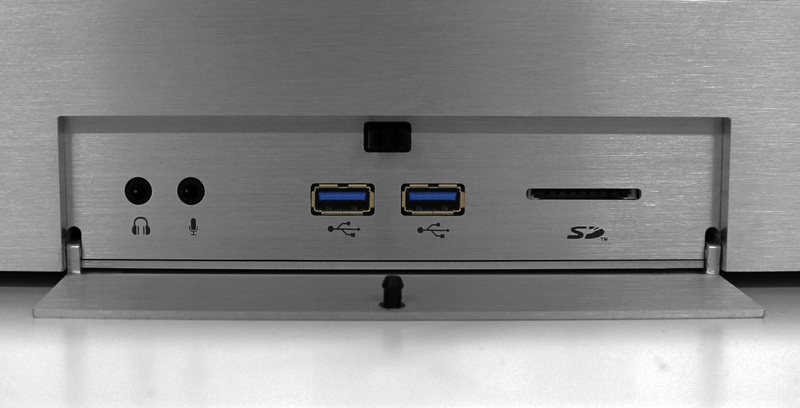 For connecting external devices, MAVEN™ comes with a hinged front panel, integrating two USB 3.0 connectors, a SDHC Card reader, and two variable HD Audio® in/out connectors. 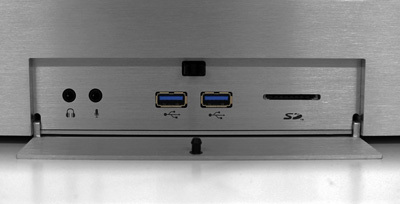 The back panel features up to 6-channel analog, optical S/PDIF HD Audio® connectors, Thunderbolt, two 1000 M/bit Ethernet connectors, up to eight USB 3.0, 3.1 and USB 2.0 connectors (depending on model line / motherboard). MAVEN™ features a solid-state drive (SSD) as standard equipment, configured as a primary system drive. SSDs use special flash memory, retaining data without power. Compared with conventional hard disk drives (HDDs), SSDs are less susceptible to physical shock, silent, and have much lower access time with higher read/write speeds. MAVEN™ can be configured with additional SSD system drives or ultra-highspeed NVMe SSDs. Two drives allow for an optional RAID configuration (Redundant Array of Independent Disks). In RAID 1 mode, one drive is mirroring the other, providing maximum data security and double read speeds. In RAID 0 mode, both drives are combined to one logical drive, doubling read/write speeds and IOPS (Input/Output Operations Per Second) of one drive. 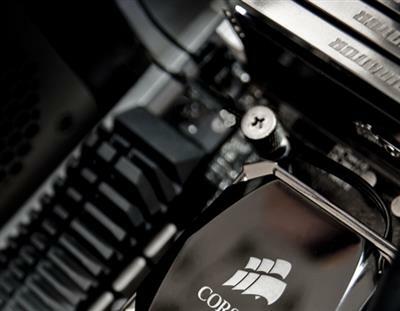 All SSDs we use have won multiple awards and boast industry leading reliability and performance. A RAID 0 configuration handles up to 190,000 IOPS and read/write speeds of over 1,100 MB/s, delivering unprecedented load and response times. In addition to up to 5 Terabyte system drive capacity, MAVEN™ is able to accommodate up to three 3.5 inch hard disk drives with a total storage capacity of up to 24 Terabytes. Due to its mechanical design, a hard disk drive is naturally prone to transfer vibrations to the chassis and components. 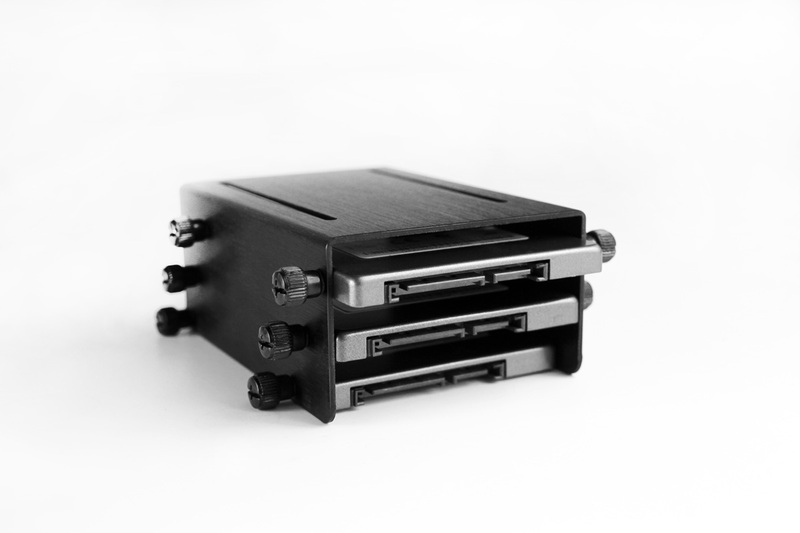 In the MAVEN™ HDD cage, all drives are rubber-cushioned and hence completely isolated from their aluminum surroundings. This solution effectively eliminates vibrations and consequently aids overall system quietness. MAVEN™ solely features WD Red HDDs, designed for 24/7 operations in server environments and RAID configurations. In their respective capacities, WD Red drives are simultaneously the most energy efficient and quiet models, with almost non-existent seek noise and excellent vibration levels. Depending on the number of HDDs chosen (2-3), RAID can be configured as a stripe set (RAID0, 100% capacity, no data redundancy, highest read/write performance), a two-way mirror (RAID1, 50% capacity, 100% data redundancy, regular read/write performance) or parity (RAID5, ~70% capacity, 100% data redundancy, slightly decreased read/write performance). Both two-way mirroring and parity resiliency types will effectively protect data in case one of the HDDs would fail. MAVEN™ exclusively use Seasonic power supply units which boast industry-leading quality and reliability. All PSUs exceed the 80 Plus Gold and Platinum standards with an electrical efficiency of up to 95% (with Platinum certified PSUs on 230V) and unmatched voltage stability levels. 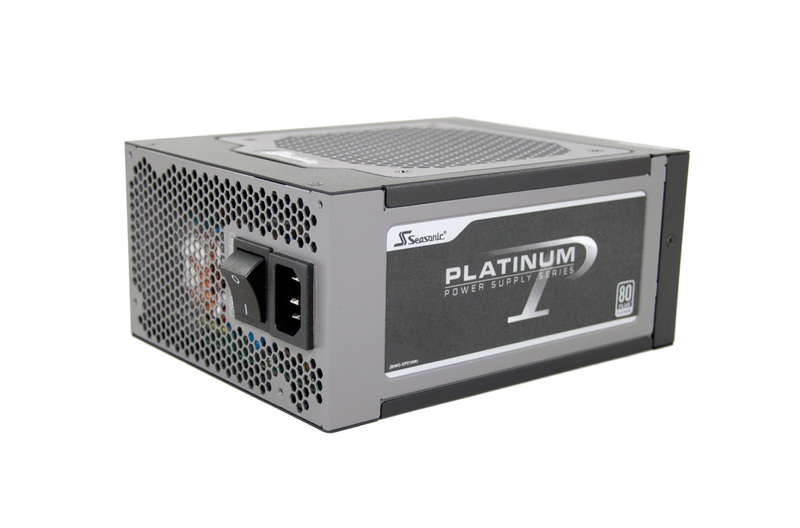 All Seasonic PSUs come with a variable fan management, making them inaudible on idle and low-load levels. Combined with Intel's speed step technology, total system power consumption is as low as ~40 Watts in idle and low load states, less than a regular light bulb. Stand-by power consumptions is as low as 2 Watts. These numbers become even more impressive when considering that MAVEN™ completely replaces a multitude of stand-alone devices like Desktop PCs, Blu-ray players, NAS', home servers, DVRs, Home Automation servers, and gaming consoles. In combination, the total power consumption of these devices would be substantially higher than the consumption of one MAVEN system.